The Chamber Committee would like to give a special thanks to Jim Lynch from Lynch Family Clinic for hosting our July Meet and Greet and Committee Meeting. 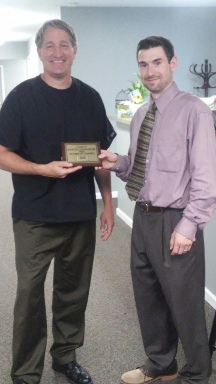 It was a great meeting and we were able to see his beautiful new office located on Route 21 in Manchester. We are glad to have Jim back in the community. In the meeting he shared plans they are working on to help small businesses with their medical and benefit expenses. More information will be forthcoming on these programs.